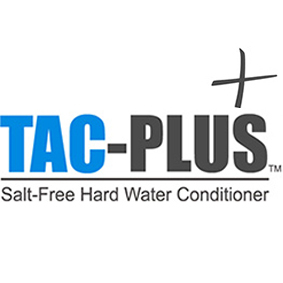 The TAC Plus is a unique water treatment system designed strictly to remove calcium from hard water. Holman Plumbing will be happy to install this in your home or business on Vancouver Island or any of the surrounding islands. What makes it unique is that the system does not use salt. Many people don't like to use salt to backwash the softeners in their water treatment systems. Unfortunately, most other softeners require salt to backwash. The TAC Plus system requires no salt and is a green system. To work properly, this system must have virtually no iron or manganese in the water. Otherwise, it will bind up the media in the bed. The system is designed strictly for hard water (calcium). The perfect match with this TAC system would be the Iron Plus system in front of it, which would remove your iron, manganese, and H2S (also a green system requiring no chemicals for backwash). The two systems work hand-in-hand and are a perfect match. We have installed a lot of these in greenhouses and other applications that do not want any sodium in their water that will affect the plant growth. The customers we have installed them for love them. If you have any questions or would like to have this system installed, contact us!